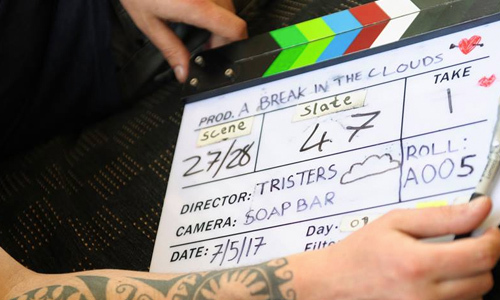 The short drama is co-produced by Heanue and Paddy Slattery (Skunky Dog) and tells the story of a young couple struggling to adjust to life following the birth of their first child. In doing so it explores the impact of first-time parenting on mothers and fathers alike. 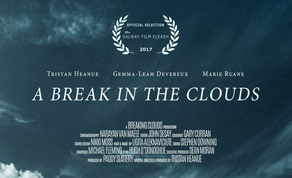 ‘A Break in the Clouds’ stars Gemma-Leah Devereux (Get Up & Go), Heanue (Cardboard Gangsters), Marie Ruane (Foxes) and Linda Bhreathnach (Ros na Rún). The title follows Heanue’s debut ‘Today’, which received the award for Best Short at the 2015 Galway Film Fleadh. Other crew include cinematographer Narayan Van Maele (Gridlock) and editor John Deasy (Ladies of Science), with sound design from IFTA-winning talent Nikki Moss (Patrick’s Day) and soundtrack from Michael Fleming (The Queen of Ireland). A colour grade was recently finalized by Gary Curran (Room) at Outer Limits Studios.